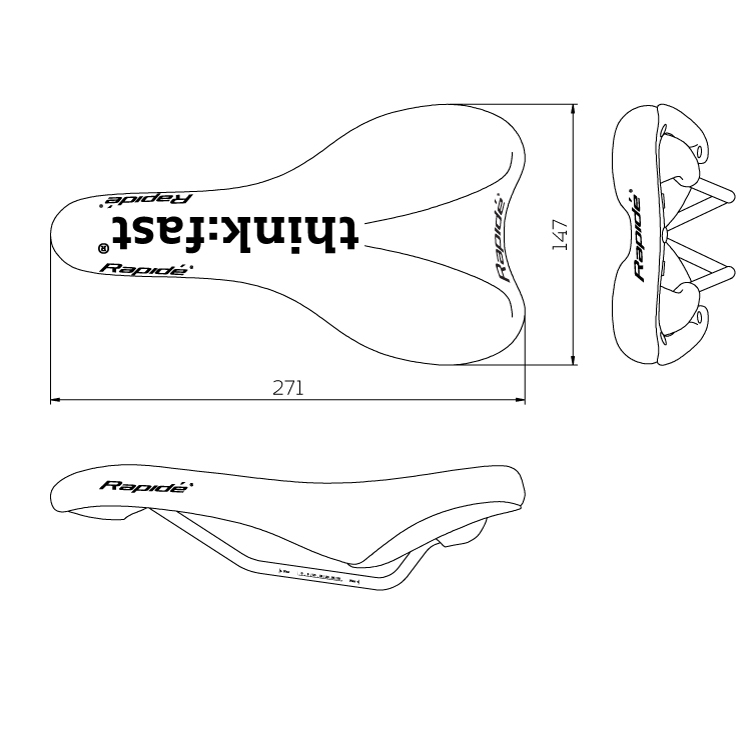 The new Rapidé T:F 147 is an evolution of our popular T:F saddle and uses all the great features developed on original T:F saddle integrated into a shorter, wider chassis. The smooth seamless surface makes it easy to find your preferred position and the dual density shell has a cutout for maximum comfort. While the saddle is shorter than the original T:F saddle we have been careful not to shorten it to the point where the rider cannot re position themselves when needed. The area directly under the sit bones is a softer, flexible compound to prevent pressure points developing and enhance comfort, while the rest of the shell is made of a stiffer material to maintain the saddles shape. The cut out in the shell in the perennial area doesn’t go right through to the surface of the saddle, therefore there are no creases or edges that could pinch or create pressure points. The nose section has an embossed non slip section to help the rider hold their position. The rails are strong, light and reliable cr-mo and are marked with a guide to help you position the saddle perfectly, everytime. The Rapide T:F 147 Saddle is the perfect saddle for all cycling disciplines – road, MTB, TT, triathlon no matter how long the ride may be. 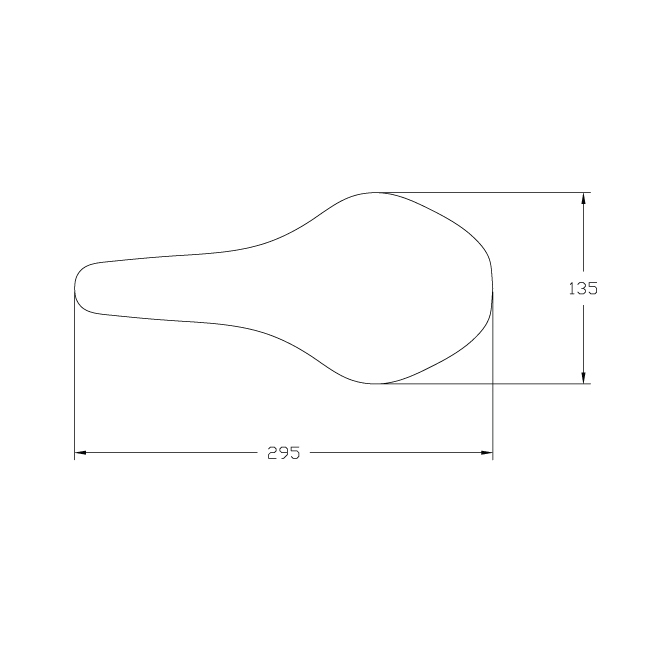 The Rapidé T:F saddle has a smooth seamless surface to make it easy to find your preferred position and a dual density shell with cutouts for maximum comfort.